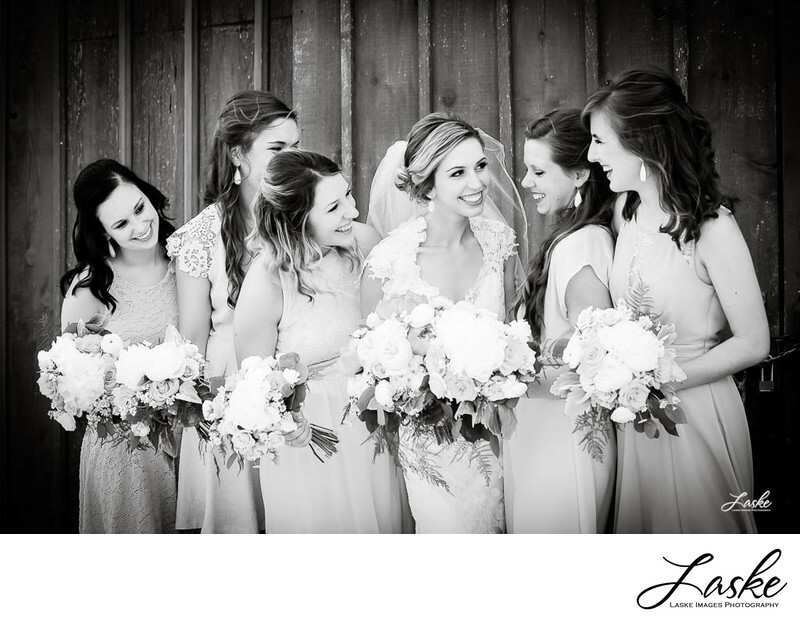 Bride and her Bridesmaids looking at each other and smiling on her wedding day. Outside a barn. 1/320; f/5.6; ISO 200; 78.0 mm.